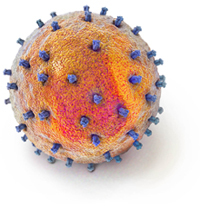 AIDS Vaccine Basics is comprised of our popular Primer series, textbook-like chapters of about 800 words each that aim to translate the complex world of AIDS vaccine science into simple but informative language. Here you will find deftly written explanations on how different AIDS vaccine strategies work, what cells comprise the different arms of the human immune system, and how to interpret the results of AIDS vaccine trials. The page contains a searchable key that allows readers to track down Primer topics dating back to 2003. What are some of the complications in designing trials to study partially effective AIDS vaccine candidates? What are researchers learning about the enemy that a preventive AIDS vaccine would need to block—the virus that is transmitted and establishes infection? What role do innate immune responses play in defending against HIV infection? Why are volunteers who are at high risk of HIV infection necessary participants in late-stage AIDS vaccine trials? How are statisticians analyzing the data from the STEP trial? What are randomized, controlled, double-blind clinical trials?